We’re done! 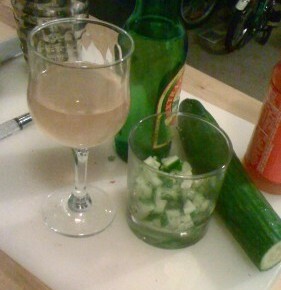 We’ve created seven different custom cocktails each featuring cucumbers and gin for awesome our Kickstarter backers. It was harder and more rewarding than I expected. Both ingredients have very distinctive flavors, and coming up with seven different recipes that a) aren’t horrible and b) aren’t identical wasn’t easy. 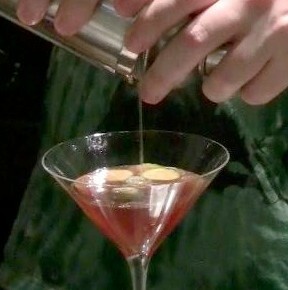 We created a lot of twists on classic cocktails, and we used a lot of cucumber-infused Hendricks to get these recipes right. Special thanks to Dennis Clark and Orlando Klass, as well as Jessica Peck and Victoria Nece, who helped invent, test, and photograph the cocktails. Ken Ueno is an extremely accomplished composer. His cocktail is a spicy take on a bloody mary. Mona Seghatoleslami was in my high school music theory class, and now is a bona fide public radio personality in West Virginia. 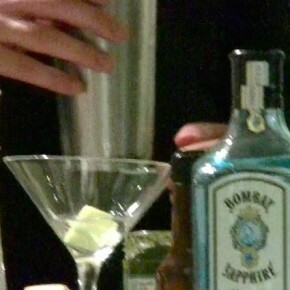 Her cocktail is a clean cucumber martini. Wes Clark and Maxine Rockoff are family, and a very accomplished pair in a ton of different fields. 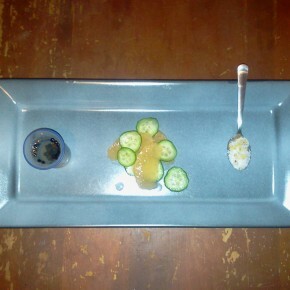 They also hosted the Cucumbers & Gin film shoot in their home. 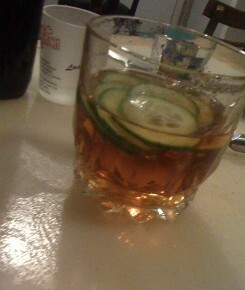 For them I created a strange twist on a manhattan. Sarah Wheaton is a New York Times reporter, political blogger, and web producer. She also throws great parties. Her cocktail is light and fizzy, with grapefruit and ginger beer. 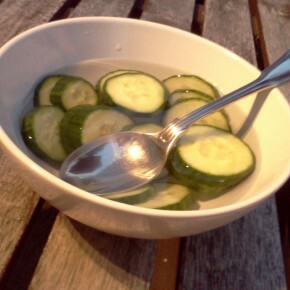 Greg D is a prolific Kickstarter backer and gifted engineer, whose contribution put Cucumbers & Gin over the top. His cocktail is a sweet twist on a ramos gin fizz. Emily H speaks German better than you do, blogs about food, and is hiring the entire Consumer Financial Protection Bureau, so be nice to her. Her cocktail has lime and fresh watermelon – great for a D.C. summer. Dennis Clark, my dear brother, is a great mathematician, a great financial analyst, and he learned Python in a day a couple weeks back. No slouch, this guy. 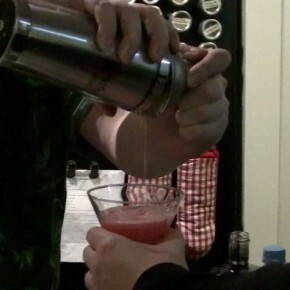 Dennis’ cocktail is an upscale twist on a tequila shooter. 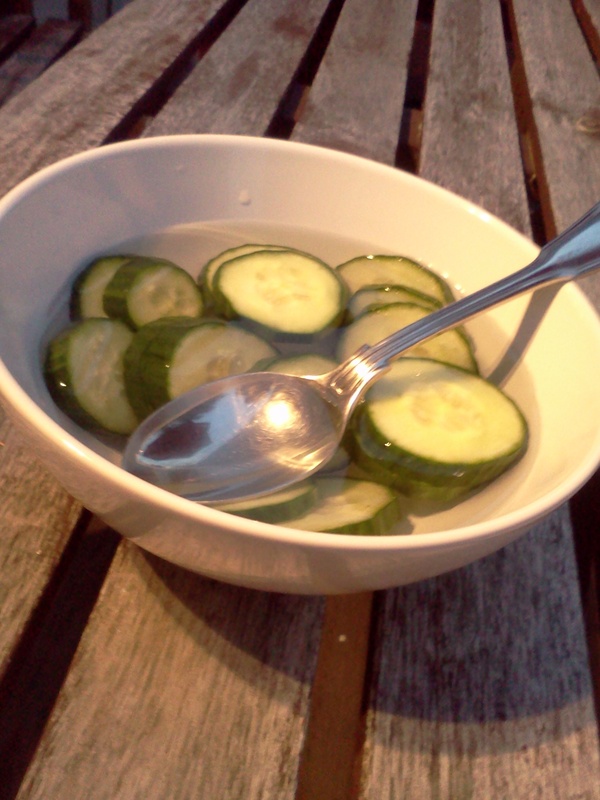 The Churchill is a bowl of gin, with sliced cucumbers and spoon in it. 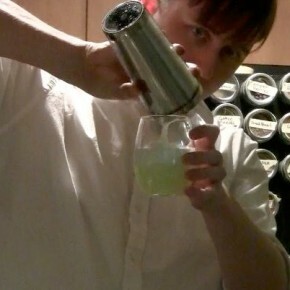 Inspired by our favorite boozy prime minister, this cocktail serves no sensible purpose, except breakfast. Next story Cucumbers & Gin, live at Exapno tomorrow night!